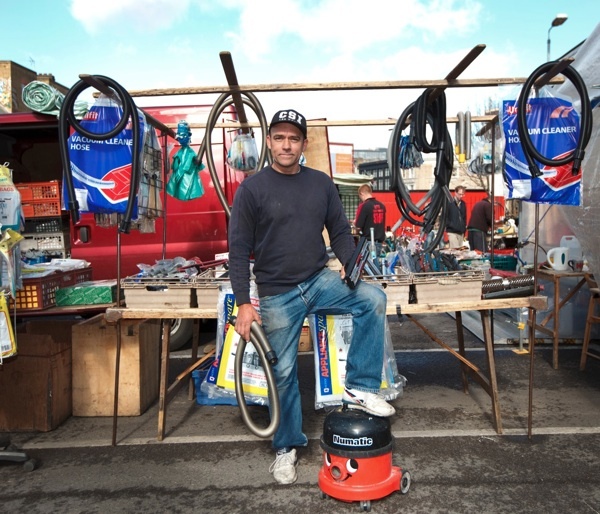 This is Sean who sells vacuum cleaners and spare parts on Sclater St Market. 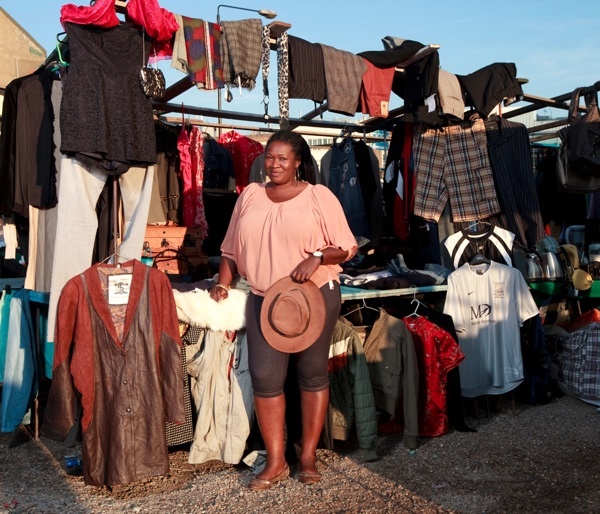 “I’ve been involved in markets since I was twelve and then, in my mid-twenties, I decided to do it full time – and twenty-five years later I am still here,” he informed me with a bemused grin. Sean bought the business from the man he worked for who had been here since the early sixties, which makes half a century of trading in vacuum cleaners every Sunday on the same spot. Kevin reserves his ire for the market management. “They just sit round a table and work out how to make a market trader’s life hell,” he asserted with a frown, and I would have learnt more – if the kebab stall next door had not caught fire and overwhelmed us with dense smoke. Was there a sale of fire damaged kebabs later? Sean looks like a proper nice fella! These pictures are so vibrant – Great Blog! kevin’s wife is almost certainly the gracious,wonderful,beautiful woman and kevin knows it. 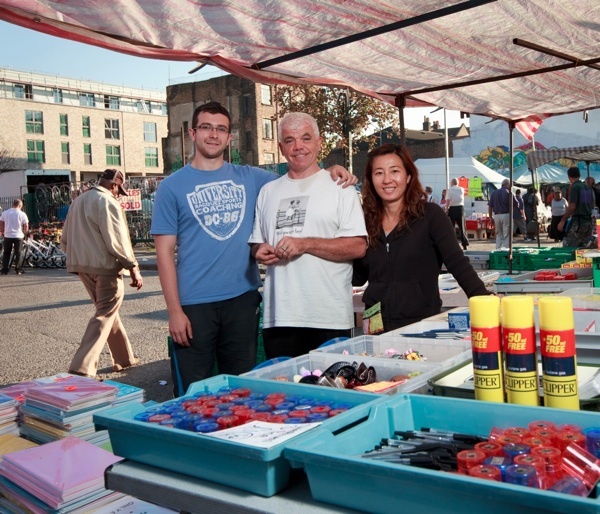 You want to run a market ask kevin!